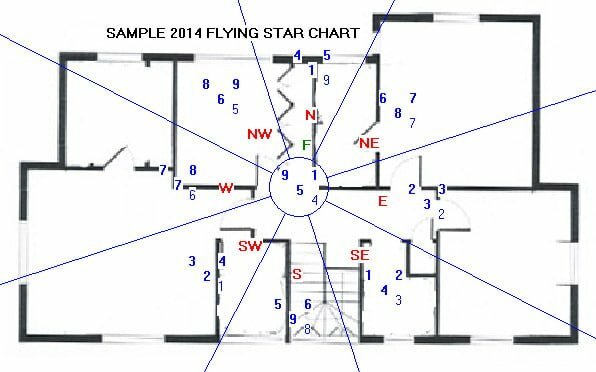 Planning and building a feng shui house should follow feng shui house layout designs and basic feng shui rules that allow for good chi energy flow. By keeping these rules in mind, you will create an auspicious feng shui home design that will ensure your family thrives. The Chinese avoid the number four for house and telephone numbers, believing four is unlucky since it sounds like the Chinese word for death. There are no feng shui rules about this belief since feng shui focuses on the elements and landforms surrounding your home. However, you may prefer to select an address that doesn't have the number four in it. There are several feng shui rules you want to follow when selecting a building site for your new home. It pays to have a detailed analysis conducted by a feng shui practitioner as you plan. If you don't have access to such a professional, you can avoid major issues by following basic feng shui principles. 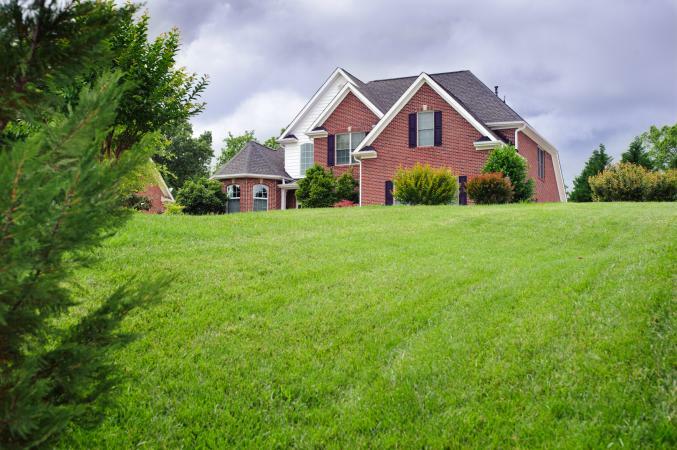 The land surrounding your home is far more important than the interior. The backyard should be higher than the front yard. This provides abundance to the front door. A mountain behind your home is a feng shui optimum. The left side of your home should be higher than the right. Avoid poison arrows directed toward your homes, such as street intersections, church steeples, and tall buildings. Don't build near sha chi (negative chi) accumulations, such as cemeteries, garbage dumps, hospitals, landfills, or prisons. Steer clear of cul-de-sac lots since these also create a pooling of chi energy that becomes stagnant and can't enter your home easily. Homes positioned at the end of a street are in a difficult location since all the chi energy will rush towards your home. If you can't escape any of these inauspicious elements, there are many feng shui remedies you can apply, such as berm plantings, walls, water features, and many others. Auspicious shapes for a feng shui home include rectangle, square, stepped, and round. 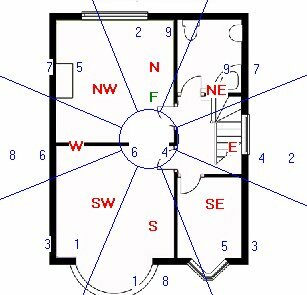 Oddly shaped or irregularly shaped homes, especially L-shaped or those with missing corners and other difficult floor plans present feng shui challenges that require remedies. Facing and sitting directions are important for knowing how to apply feng shui principles to your home. Take compass readings to ensure each sector is correctly identified. The facing direction is vital for the landscaping and interior design of your home. Surprising to many people, the front door isn't necessarily the facing direction of a house. This direction is determined by the door that overlooks the area of your property that's on a downward slope. As previously mentioned, for the ideal feng shui property, the front of the house should slope downward. If your back door or side door overlooks the downward slope, then this is considered the facing direction and where you'll take your compass reading. If your building site is on level ground, then the area that has the most active chi energy becomes your facing direction, such as a street. The sitting direction is the opposite direction of the facing direction. If your back door is your facing direction, then the front door become the sitting direction and vice versa. If a side door is the facing direction, then the opposite side of the house is the sitting direction. 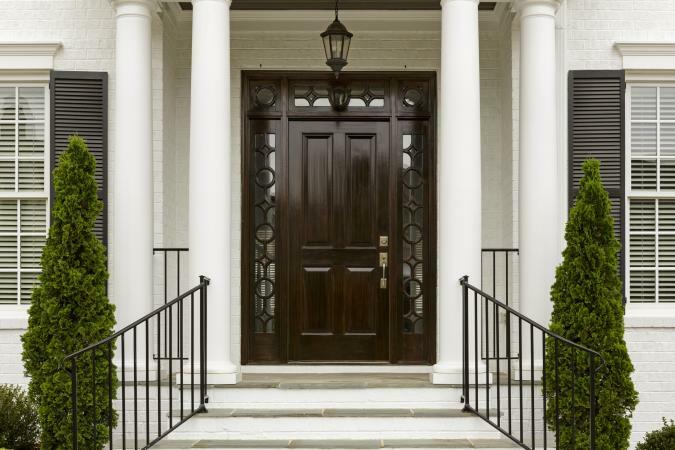 Start with the front door and entrance area of your home. This is a vital area since it is the main mouth that allows chi energy to enter the house. If you have a sidewalk leading to your front door, make sure it is curved and meandering. Avoid straight walkways that lead directly to your door; the chi energy will rush down a straight pathway and storm into your home. The front door should open into the house, never out. This allows the chi energy to enter easily and flow from outside. A foyer that is separate from the rest of the house allows the chi energy to pool and then disperse through the home. The absence of a foyer floods the home with chi energy that can often be overwhelming. Don't align the front door so there's a window or other door directly across from it. For example, if the front door is opposite a back door or kitchen window, the chi energy will rush through the front door and out of the house through the back door or window. There are a few special precautions to take when planning the bathroom in relation to the front door. You don't want a bathroom door or closet opposite the front door. These inauspicious placements have a negative effect on health and wealth. Don't place a bathroom on the second floor directly above the foyer. The negative energy from waste water will thwart all positive chi energy entering your home. 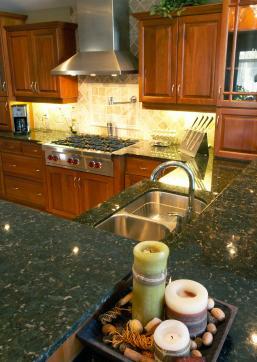 The kitchen is vital to the health of its occupants. It should ideally be located at the back of your home. The worst location for a kitchen is in the front near or immediately beside the front door area or foyer. In other words, you don't want to be looking or standing right in the kitchen the moment you enter the house. This is especially true if the oven is directly across from the front door. That said, the best location for a kitchen should be dictated by the breadwinner's kua number (calculated using birthday and gender formula). When designing a kitchen layout, go with the good feng shui design of a triangle that places the refrigerator, oven, and sink at the corners of a triangle. This avoids the mixing of water and fire elements. Avoid placing the oven and range in a position that forces you to cook with your back to the door. If this is unavoidable, use a mirror technique so you can see behind you when cooking. Don't place the kitchen facing a bedroom door. The living room (den), dining room, and kitchen areas should be on the same level. Avoid using mirrors in a kitchen. Mirrors represent the water element, and this is destructive to the fire element in kitchens. A general rule is to avoid placing a kitchen in the northwest sector. This sector is governed by the metal element while the kitchen element is fire. Such a kitchen placement is called "Heaven's Gate" since these element create an afflicted area. This kitchen sector is said to threaten the breadwinner with loss, such as job and money, even bankruptcy as well as accidents or serious illness. The only thing that trumps this rule is if the NW is in an auspicious sector for health according to the breadwinner's other kua number. Even if this is the case and you have a choice, locate the kitchen to a more auspicious location. Don't locate a second-floor bathroom above the kitchen. Also, avoid a kitchen and bathroom sharing the same wall or the bathroom door facing the kitchen. Bedrooms are best located away from the main activity in the home. The back of the home is the best location for bedrooms. There are several feng shui rules that can help you locate your bedrooms. One principle can guide you by considering each family member's best and good directions according to their kua number. Avoid locating a bedroom at the top of a staircase with the bedroom door directly across from the staircase. Don't locate bedrooms directly over a garage, office, or kitchen. Don't locate a bedroom connecting to a home office. Don't locate a laundry room beside bedrooms. Never locate a bedroom on a lower floor underneath an upper floor bathroom. Don't locate a bedroom directly over a lower floor bathroom. The bed should not be placed on the same wall as an en suite bathroom or closets. Don't use large windows directly across from the bedroom door. This creates a tunnel effect for the chi to move very quickly through the room causing unrest. Set windows so the bed won't need to be placed below or in front of them. Staircases can interfere with the natural flow of chi energy and should be located in the most benign locations. The ideal staircase is wide and gracefully curves in a clockwise motion. Staircase top and bottom landings should not face the front door. If possible avoid aligning a staircase with a front door. Chi energy will rush up the stairs and the main floor will suffer from a lack of beneficial chi energy. Don't place a bathroom underneath a staircase. The water element harms the second generation of the home. Staircases work best placed along the outer wall of the home. 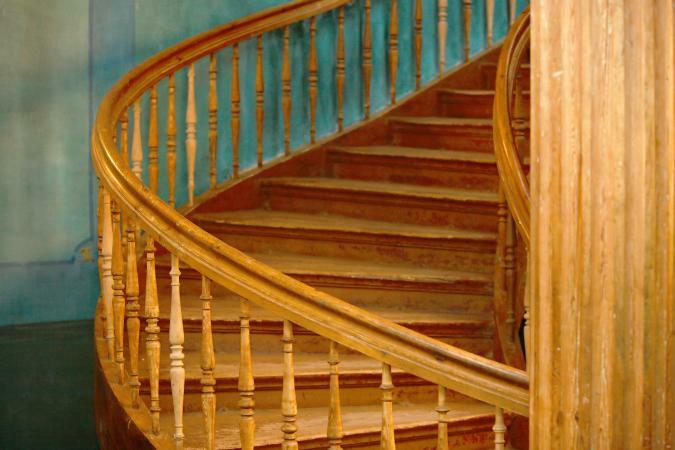 Never locate a staircase in the center of the home, especially spiral styles. This creates a tornado or drill effect for chi energy moving around as well as up and down non-stop. It is best to avoid a staircase in east (health), southeast (wealth) and southwest (love relationships) sectors. Place staircases with inauspicious flying stars. Feng Shui guru Lillian Too advises this placement will help to tamp the bad luck these stars cause. Don't use open staircase tread designs. This design allows you to see between and through the treads as though the steps are floating on air. This style further destabilizes the feng shui aspect of a staircase. Use wood, never metal, for the staircase construction and finish. Typically in contemporary homes both the living room and dining room are close to the kitchen, often part of an open floorplan that includes the kitchen. The living room will be the epicenter of much of the family activity. It should be a large enough space to fit the family and double for hosting social events. One of the most important rooms in your home is a separate dining room. This room represents the family's abundance and wealth. It should be accessible to the kitchen without being in the kitchen. The other types of rooms found in most American homes include a laundry room, walk-in or standard closets, and garages. All of these rooms are considered to be storage rooms. Although the laundry room has cleaning activities taking place, the dirty and clean clothes are stored in this area for various periods of time. The feng shui issue with storage rooms is the stagnant chi energy that accumulates in them. One cure is to hang a full-length mirror on the outside of the door to prevent chi energy from being siphoned from the rest of the home into these rooms. You don't want to reflect a kitchen stove, bathroom door, or staircase, so plan your storage room away from these items in the home. It's best not to place doors and windows directly across from each other whenever possible, otherwise the chi energy enters and exists too fast. Like the front and back door not being aligned, it's best not to align other doors in your home, such as bedroom door and the bathroom door, or the bathroom door and closet door. Three or more doors side by side or doorways in a long hallway are to be avoided. Some of the tunneling effect of chi energy can be dispersed by hanging 1" to 2" crystal balls in the doorways. Rows of windows, especially along the back of the home, should be avoided. The back of the house is like the spine of the human body; it's there to support. Too many windows will weaken the chi and the support you need in all sectors of your home. This will have a direct negative impact on your life. Use common sense when planning door and window placements. Visualize how the chi energy will move throughout your home, in and out of the windows and doors. The goal of designing a house using feng shui rules and application is to maximize the benefit of auspicious chi energy. Room location and other components will ensure you reap the most benefits of your feng shui home.